Almost any label can be enhanced by the application of a polyurethane dome (or lens) to the surface. The labels to be domed can be printed by a variety of processes including digital, flexo, letterpress, screen printing, lithography, etc. Almost any label you are using at the present time can be transformed by being domed. 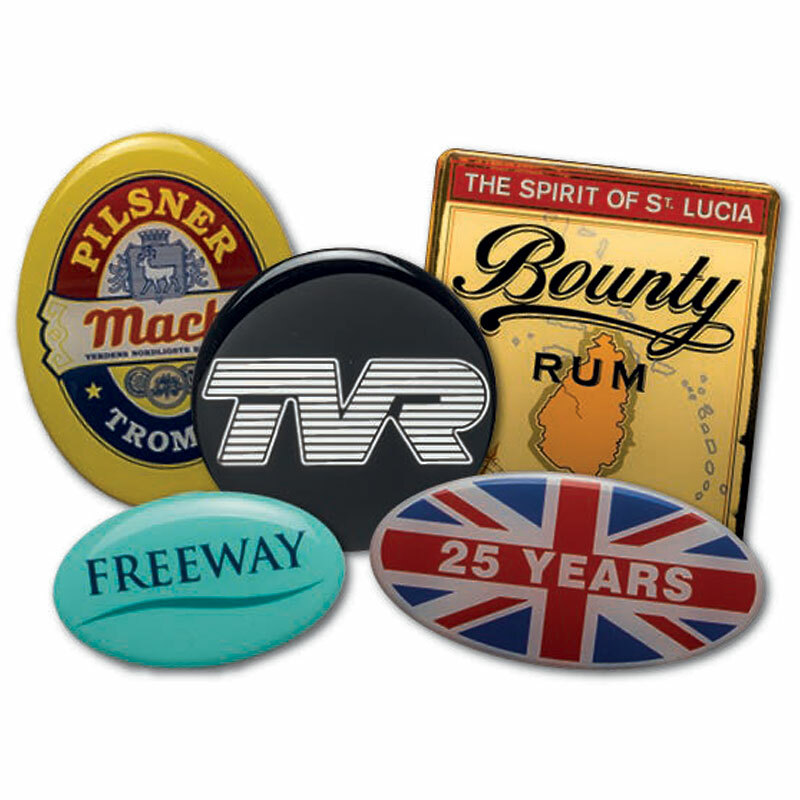 We can print and dome the complete job for you, or we can dome an existing label you already have. Contact us, or send us samples of the labels you are using at the present time, and we will dome them and return them to you; you will be amazed at the transformation. Hi-performance adhesives of various degrees of tenacity are available for all types of labels, and we are always pleased to advise you on the correct one to use for your particular application.